What does the Friendly Society Private hospital stand for? Before modern insurance and the welfare state, friendly societies provided social services to individuals who bound themselves to help each other, present and future, to shield each other from misfortune, and to support each other in their day of need. The Friendly Society Private hospital is a not-for-profit organisation, created under these same principles. It is run for the betterment of the community and all profits are re-injected into the operations of the hospital and not distributed to any third party. This is quite unique in today’s environment of healthcare delivery. In 1897… Bundaberg mutual aid lodges meet to form a Friendly Society to work towards improving medical facilities in the community following Friendly Society principles. In 1919… Special meetings of the Friendly Society are held with the purspose of forming the Bundaberg Associated Friendly Societies Medical Institute in order to take practical action to improve medical facilities. This was funded initially by a 10 pounds 10 shillings loan and a levy of 2 shillings and 6 pence per member. The institute is registered on October 8 and the first meeting its new General Committee is held on October 10. The General Committee consists of members nominated by local Lodges. In 1920…The Friendly Society Pharmacy is opened in leased premises in Bourbong St. Mr W. E. Steppensen is appointed manager and sent on the train to Brisbane to purchase stock and fittings for the new business. The General Committee decides to purchase land at 174 Bourbong St to construct a new pharmacy. 1921… The new pharmacy opens. The building has the pharmacy downstairs and a Lodge meeting room upstairs. The building houses the pharmacy until 1987. 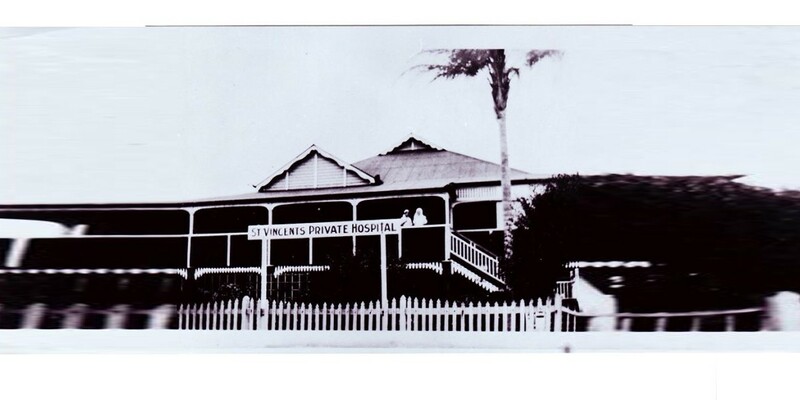 In 1924… Bundaberg born and locally-trained nurse Agnes Novakoski purchases a large high-set Queenslander private home in Crofton St West Bundaberg and transforms it into the St Vincent’s Private Hospital. The hospital has 15 beds and provides general medical and surgical services. The hospital has nurses quarters underneath and has chickens and a large vegetable plot in the back garden to provide provisions for patients and staff. In the 1930s… Following the depression years it was identified that there was a need for the Institute to operate a hospital for its members. In 1946… The Friendly Society Medical Institute purchases St Vincent’s Hospital and renames it St Vincent’s Friendly Society Private Hospital. Medical treatment continues unchanged at first. Agnes Novakoski retires and Sister Violet Cole becomes the first Matron of the new hospital. In the early 1950’s… The Institute purchases the old bank of New South Wales building on the corner of Quay and Barolin t to establish its own general practice medical facility. It begins to recruit general practitioners from the UK to staff it. This service offers free medical treatment to Friendlies members. It operates into the mid 60s. In 1956 … The first major refit of the old pharmacy building is carried out, including the construction of a mezzanine floor for the pharmacists to work on. In 1962 … Construction of the first major extension to the hospital begins. It consists of new operating theatres, private rooms and nurses quarters. After some delays the new complex opens in 1964. In 1970… The Institute begins its investment in real estate development with the construction of a two story complex at 36 Quay St housing professional offices and a new Lodge meeting room. In 1974 and 1978… Further extensions to the hospital are carried out to provide x-ray and physiotherapy facilities as well as lift facilities. The cost is in excess of half a million dollars. In 1979… The Institute expands its real estate investments by demolishing the general practice clinic and constructing the 6 story BAFS Tower office building at a cost of over 1 million dollars. In 1984… Further extensions to the hospital are completed, providing more wards and bringing its capacity up to 36 beds.There were approximately 50 staff members at this time. In 1987… After 66 years of operation, the historic Friendlies Pharmacy moves from the now inadequate old building in Bourbong St to larger and more modern premises in the ground floor of the Wide Bay Australia building on the corner of Barolin and Woongarra Streets. In 1991… Changes in the Friendly Societies Act mean management of the Institute is required to be streamlined and modernised. As a consequence, the General Committee which has governed it for 72 years is disbanded and a new, smaller skills based Board is established. In 1993… Originally known as the B.A.F.S. Private Hospital, the Friendly Society Private Hospital was re-registered under its new name. The long-awaited extensions were completed, doubling the hospital in size to 55-beds and 5200 square metres. Public tours were given. In 1995… In 1995 the old Woongarra Shire Building in Barolin Street was purchased by the Institute and the Friendly Society Pharmacy relocoated to this large store which has been home to the pharmacy for the past 20 years. In 1997… Construction of upper and lower levels to the latest extension on the Bingera Street side of the Friendly Society Private Hospital were completed. In 2003… the Friendlies Afterhours Medical Service opened and started providing an afterhours GP service to the community. In 2006… Construction and ongoing expansion continued with the theatre unit growing from three to five state of the art operating theatres. In 2011… The hospital’s biggest infrastructure and innovation development in both size and capital was completed, with approximately $28million invested in buildings, technology and equipment. Plus, a second Friendly Society Pharmacy opened at the hospital. In 2016… The Hospital completed works on the Medical Consulting Suites in Crofton Street. In April, the board of directors launched The Friendlies Foundation, the charitable, fundraising arm of The Friendlies, allowing the community to support The Friendlies financially with its plans for expanding patient services. In August, The Friendlies opened the relocated and expanded Day Oncology Unit. The new state-of-the-art unit increased the service in size from 6 chairs to 14 chairs and offered patients more space, comfort and a dedicated video conferencing room. In 2017… The Friendlies will continue to grow with plans to open Unit 5, the first time all five inpatient units will have been open simultaneously, as well as a dedicated endoscopy unit and refurbishment of Theatre 3. It is without a doubt that the history and ownership of the Friendly Society Private hospital is quite unique within the Australian healthcare landscape. The Friendlies not-for-profit status ensures continual reinvestment in all facets of the business including new technology, equipment, facility improvements and most importantly its people. Some content on this page was made possible by a Regional Arts Development Fund grant. 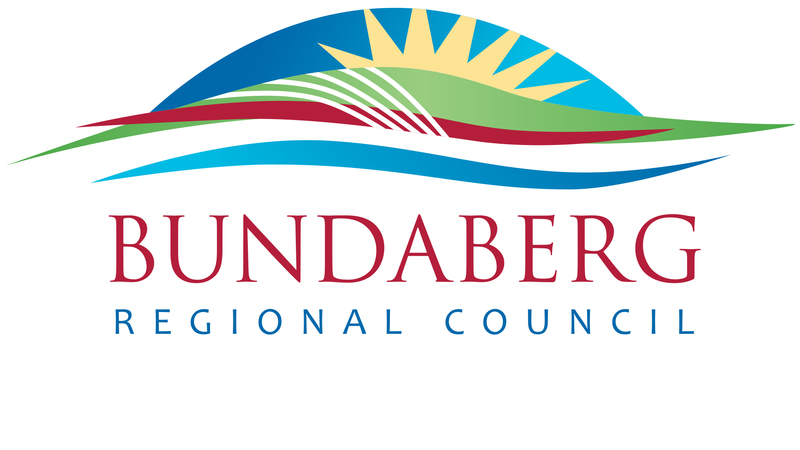 The Regional Arts Development Fund is a partnership between the Queensland Government and Bundaberg Regional Council to support local arts and culture in regional Queensland.